The final fourteen hole competition of the winter season was played last weekend with tournament director Jerry Desmond coming out on top with 33 points, one ahead of Michael Casserley, whose three putt on hole thirteen proved costly. This coming weekend sees the start of our golfer of the year and the first eighteen hole competition and is sponsored by Seamus Walsh Pharmacy. The bunkers WILL be in play and it will also be a counting tourney as the weather looks promising. There will be NO relief in the rough and placing on the fairway only (6 inches not nearer the hole). Ladies Golfer of the year , birdie tree, rings will also start next weekend with our first sponsored competition of the season. Thank you to Seamus Walsh Pharmacy for their kind sponsorship. We ask all members to support our sponsors as much as possible. On Sunday we had our annual Captains Drive-in with nearly 100 members taking part. Our President Sr. Agnes definitely had a word with the man above as the weather was just perfect. Our Captains Rae and Kitty thanked everyone for turning out in such great numbers and wish each and every member a fantastic year of golf. Results from the drive in – Front 9 – Noeleen Walshe, Colette McDonagh, Frank O Neill and John Stevens. Back 9 – Mary Bollard, Ann Treacy, Pat Quinlan and Tony Kelly. Congratulations to all. Congratulations also to Martin Murphy, Michael Brannelly and Sheila Mahon who were winners of our very successful Winter League. Thank you to all the Men and Women who turned out in great numbers all winter long. Last Thursday (21st March) we had great excitement in the club when one of our members, Noel Smyth, had the winning numbers in our club lotto which was worth a cool 20,000 euro. Numbers drawn were 4, 16, 19, 22. Next weeks Lotto jackpot is 2,700 euro. 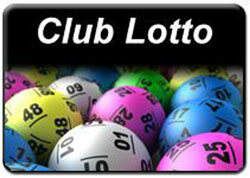 We ask all members to support the lotto if they can and remember if you are not in ……..!! Goats results. 1. J. Meehan, 2. P.Casey, 3. Ml. Murray, 4. Mt.Casserly. 2 @11th. Martin Connor. There was a good turnout for the Saturday Club at Tuam Golf Club with Jerry Desmond emerging the winner. Result (14 holes): 1, Jerry Desmond (21); 2, Michael Casserly (19) 32; 3, Michael O’Connell (16) 31; 4, PJ Murphy (20) 28. Bottles: Bob McDonald, Seamus O’Neill and Gerry Murphy. A reminder that the ‘away outing’ to Galway Bay Golf and Country Club takes place on Saturday, April 13. Contact PJ Murphy for tee times on 086-2577820. Saturday Club will be 18 holes this coming week end. Same as the club competition.